We are currently not stocking this item due to reports of Australian Customs confiscating replica or “lookalike” guns. SKU: LGUN. 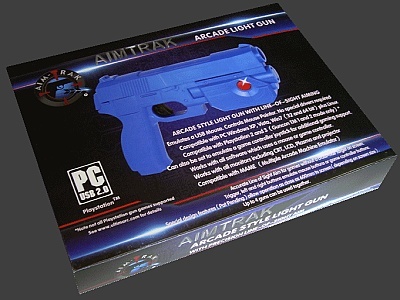 Category: Trackballs and Lightguns. The AimTrak has been designed specifically for use with PC and consoles and for use with ALL TYPES of displays. 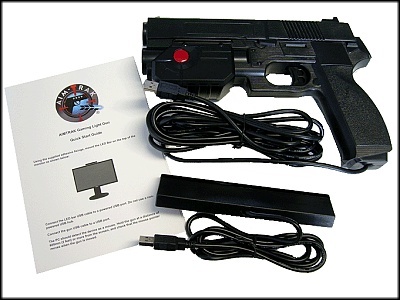 Much time was spent coming up with an aiming system that is both very accurate and reliable and the end result is just that – the most accurate and flexible light gun available. - Emulates a USB mouse and game controller. No drivers required. 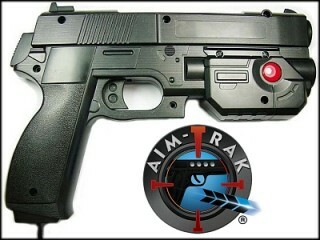 Please note the AimTrak is only available in BLACK.